They may have produced some recent superb cameras recently in the shape of the Olympus PEN E-P5 and OM-D, but Olympus are determined to show folks that they can be as daft as a brush too, and to prove their point they’ve announced a ludicrous £16,000 version of their E-P5 Micro Four Thirds camera. 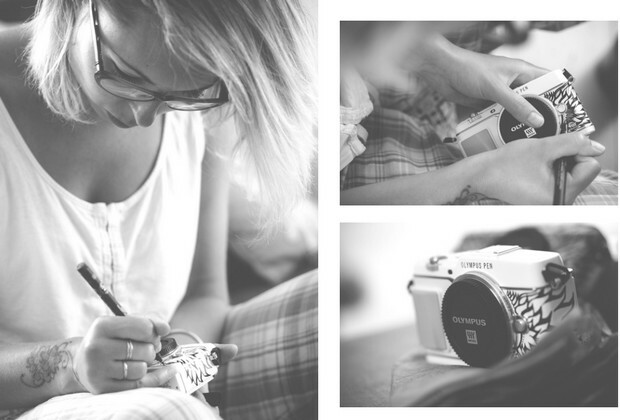 To be sold exclusively by Harrods in London, the package includes two hand painted E-P5 cameras, all the Olympus lenses and, err, a customised Vespa scooter and helmet throw in, with Susie ‘Suzko’ Lowe creating the high end scribbles. Billed as “presenting the power and portability of the PEN system in a new way,” the scooter is being described as a “revved up case on wheels.” The “ultimate paparazzo companion,” insist Olympus. And it’s all yours for 16 grand or – if you like – we can scribble all over a camera for you and do it for half the price. Deal? 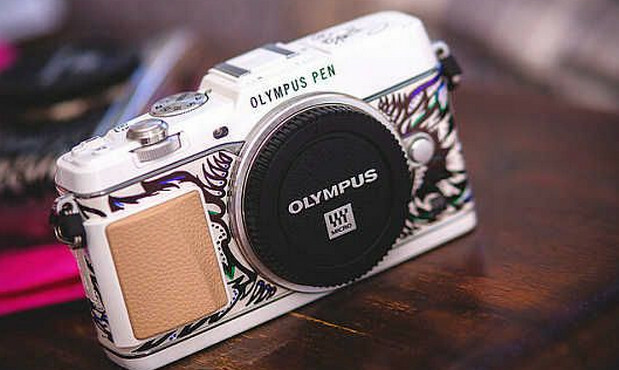 London, August 8: Exclusive, luxurious, one-of-a-kind, the perfect premium ‘accessory’ for both photographers and petrol heads, the Olympus Art Edition aims to combine the heritage and unique features of the Olympus PEN compact camera system with the prestige and individuality of owning an original artwork. By twinning a stunning high-end camera with an effortlessly cool custom painted white Vespa, this project sumptuously succeeds in being a true ‘one off’. It’s a uniquely collectable first collaboration between urban artist Susie ‘Suzko’ Lowe and fashion photographer Jay McLaughlin. It’s also the first ever – and therefore highly prized – Olympus Art Edition available exclusively through Harrods Technology. The Art Edition has its origins in presenting the power and portability of the PEN system in a new way. The scooter is in effect a revved up case on wheels – the ultimate paparazzo companion while the camera kit includes two powerful new PEN E-P5 bodies and all the premium fast prime lenses in the Olympus micro system. To give the kit a unique twist, no two will be the same. Each will be a one off lovingly painted on and illustrated by hand by urban artist Lowe in a design flowing through the scooter, helmet and camera. Another perk of the Art Edition is that is qualifies the owner for a photographic training session with Jay who will explain the finer points of the system and give some photographic technique advice. Via the Olympus Art Edition the E-P5 has become the ultimate portable camera kit complete with personal tuition and the ultimate ‘case’ – a custom painted Vespa scooter for the street photographer who likes to travel light.